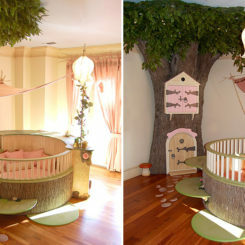 How great is this bed? The soft headboard is perfect to lean against when you’re watching TV or reading a book plus it has that really fun and colorful pattern. 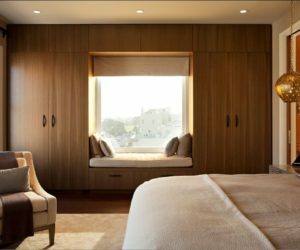 Want the bedroom to be like a relaxing spa? Then you’ve come to the right place. This design seems to be just right. The bed is elegant, with a leather headboard and everything else in the room is simple and perfectly harmonized. The Hurdal bed showed here has that lovely natural look. The solid pine shows off the grains and natural beauty and this makes each piece unique. It gives the bedroom that warmth it always needs. 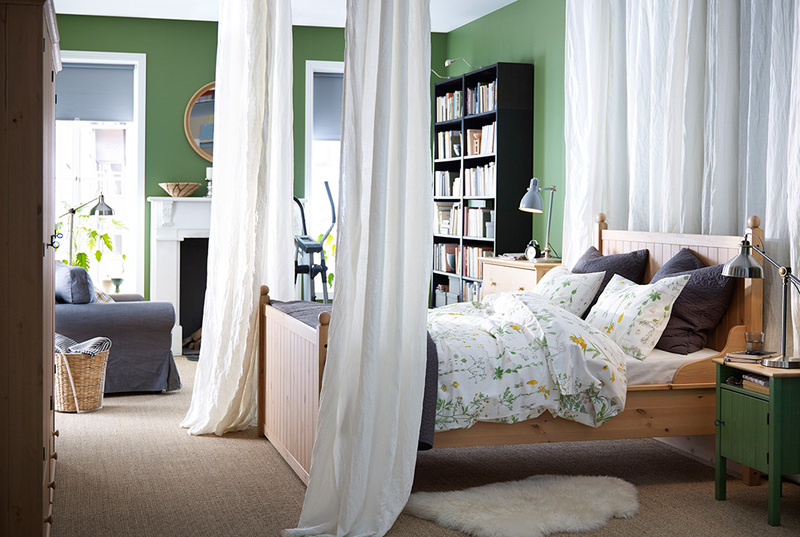 Get some eco-friendly charm in your bedroom if you want to sleep better at night. How about some cotton, linen or wood bedding and a soft rug under your feet to lock the heat? If you’re the type that prefer something more masculine, perhaps something with a little bit of industrial charm, then a bed with a metal frame and a simple but good-looking headboard would be just right. 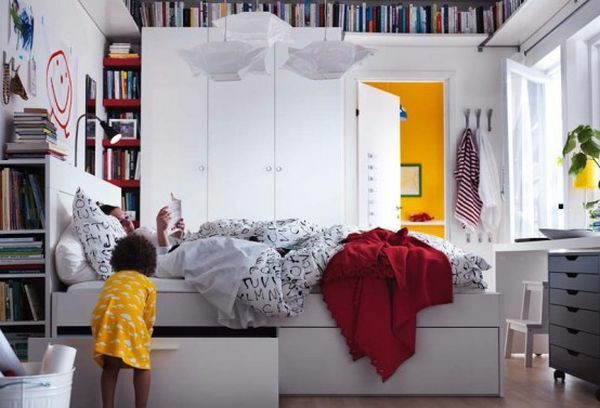 If you’re running short on storage in your bedroom, Ikea has the answer: a bed that lets you hide clothes, blankets, pillows and everything else right under the mattress. 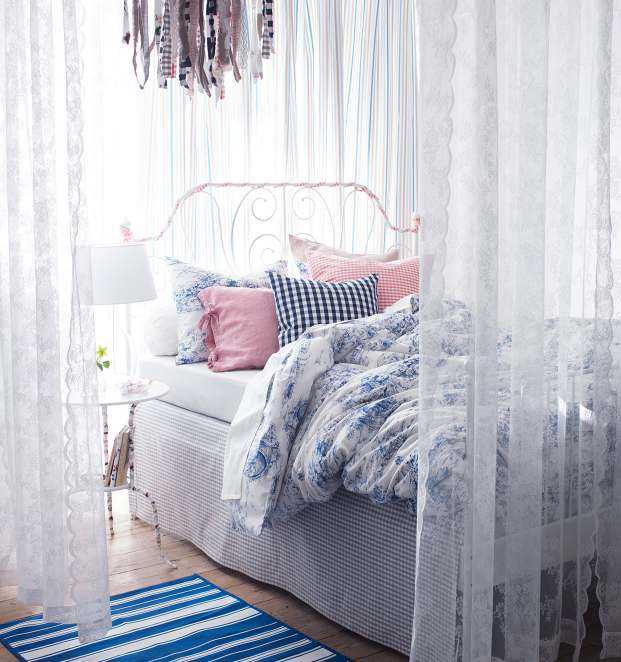 Give your bedroom a relaxed look so you get that getaway feeling every time you walk in. 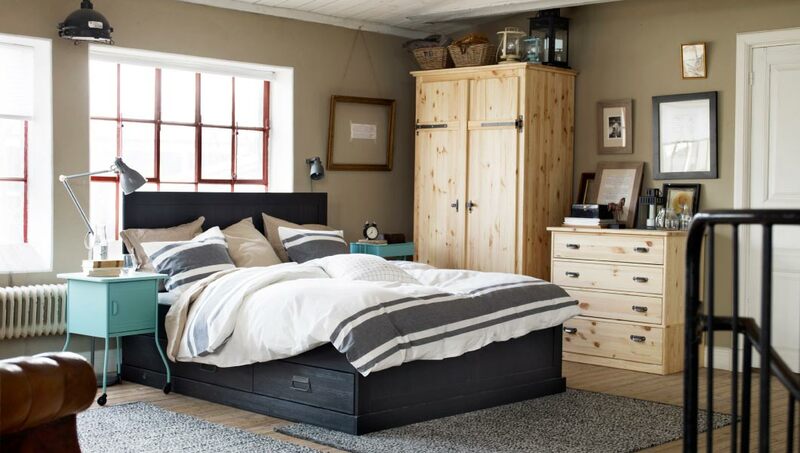 A simple but definitely good-looking bed, a practical chest of drawers and that cute little bedside table that always has a secret compartment. Bring the serenity of nature into your bedroom. 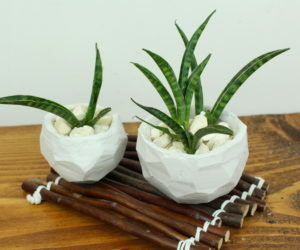 Bring in an abundance of natural materials to create a calm and relaxing ambiance and use simple, natural colors. 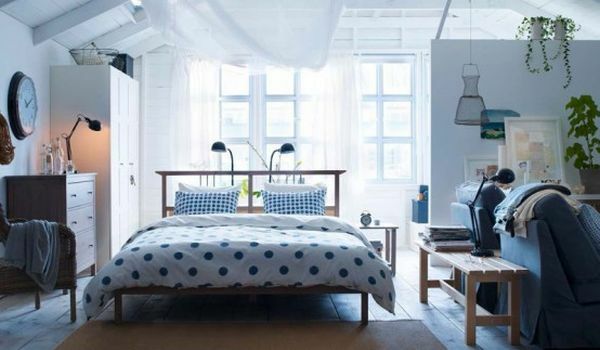 The Malm bedframe from Ikea is just what you need to combine functionality with that tranquil look you love so much. A bedroom that feels like home is always perfect. 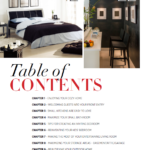 How about the raw wardrobe and chest of drawers and the chic metal accents? They’re just what this bedroom needs to feel complete. Harmony can be achieved with just a few simple pieces. Our favorite element here is definitely that Musken bed frame with a brown base and that wonderful metal headboard. Your bedroom is also the living room? No problem. 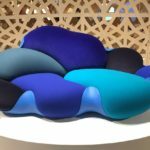 You can opt for a sofa bed that transforms in just a few seconds. Make sure you find the perfect spot for it. 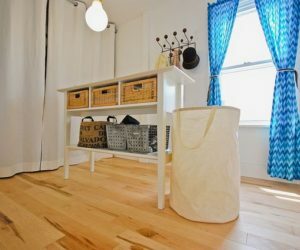 The most wonderful thing about Ikea bedroom furniture and accessories is versatility. This bedroom could belong to a bachelor, a teenager, a couple or It could be a guest room and in every case the bed and everything else would look just as beautiful. The Brusali bed is exactly what you need for your bedroom if you’re the type that enjoys sleeping in and being cozy. It has adjustable bed sides so you can put in any mattress you want and under bed storage so you can hide there extra blankets and pillows. 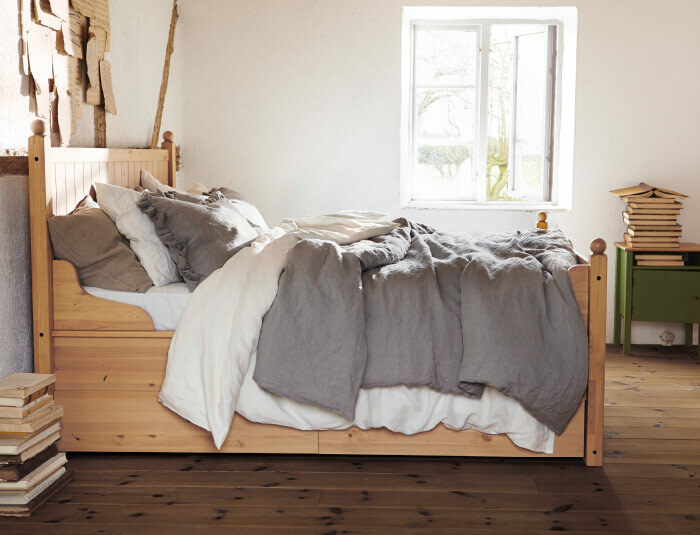 The solid pine Hurdal bed offers incredible comfort and has one of those designs that look beautiful in both daylight and subtle light at night. 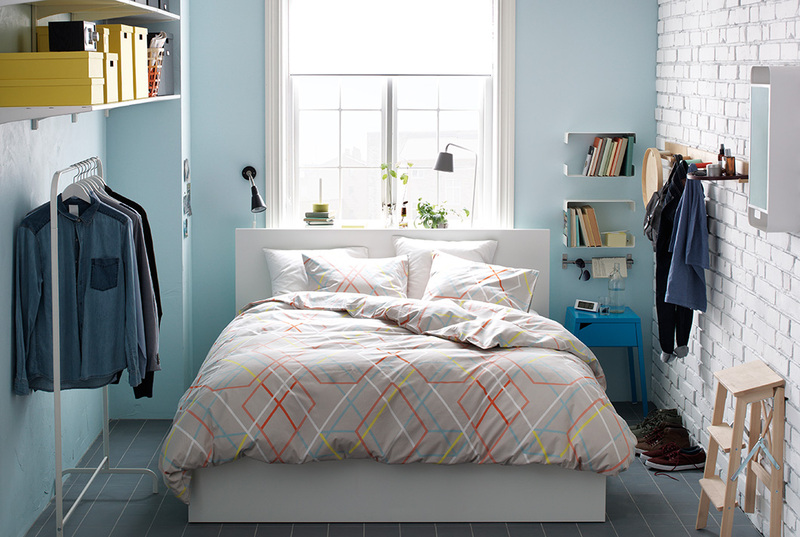 Get that minimalist look you want for your bedroom without giving up comfort. 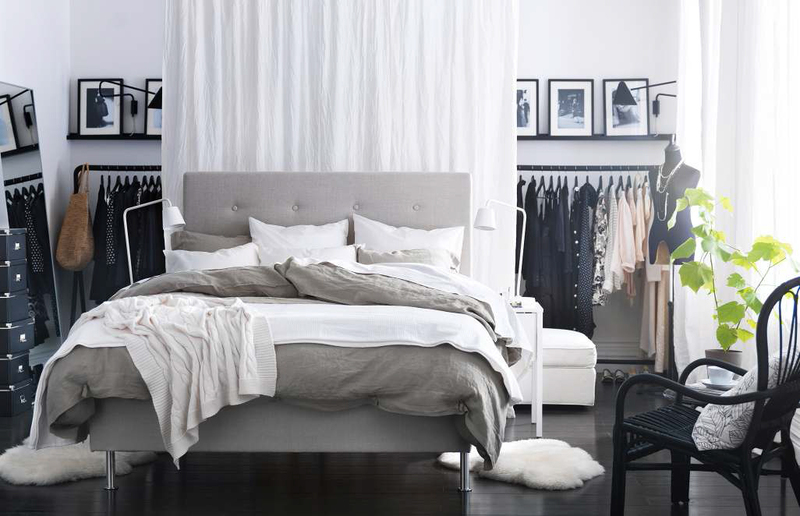 White and simple, this bed is the perfect piece to organize the rest of the décor around using similar soft and light shades. 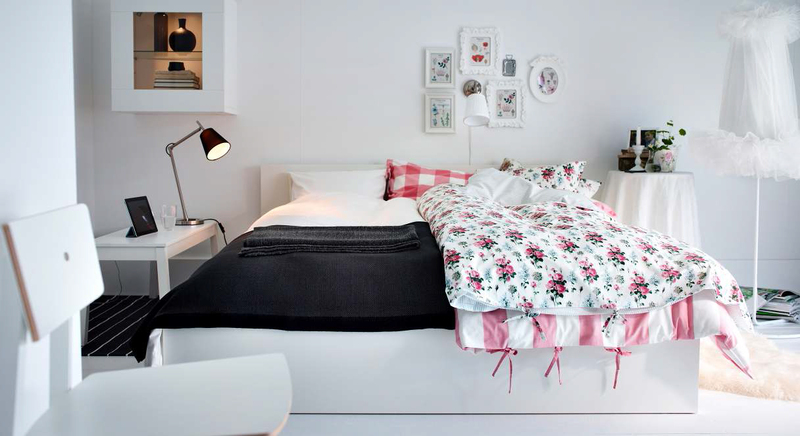 Friendly, chic and modern, this is how we would describe this lovely bedroom. It’s decorated with the perfect versatile pieces and has the potential to look inspiring for a long long time. Gray is not the most interesting of colors but it definitely looks great in the bedroom if you know how you use it. A gray bed as a focal point lets you plan either a breezy décor using light and neutral colors or a dynamic décor full of energy using vibrant accent shades. A bed with a classical design that combines elegance and functionality in a natural manner is something you can’t go wrong with, no matter what type of décor you choose. 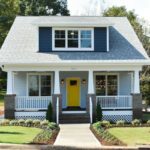 Not a fan of those classical designs? Try something more modern and simple. How about this bed? It’s definitely simple but, at the same time, it has a very interesting frame, guaranteed to attract a few looks. I’d say harmony is the most important thing in a bedroom and for that everything has to be just right. This bed has a little bit of everything: a beautiful headboard with feminine charm, a simple and casual construction and a comfortable design. 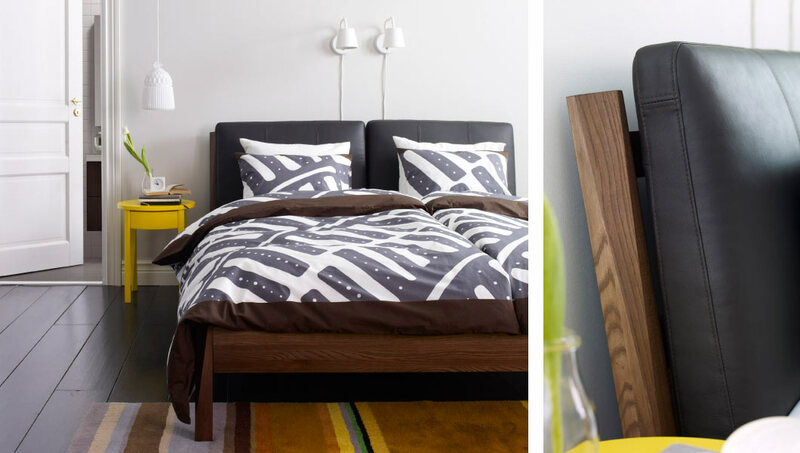 A lot of modern designs combine the bed and the nightstand into one piece. This is one of those designs. 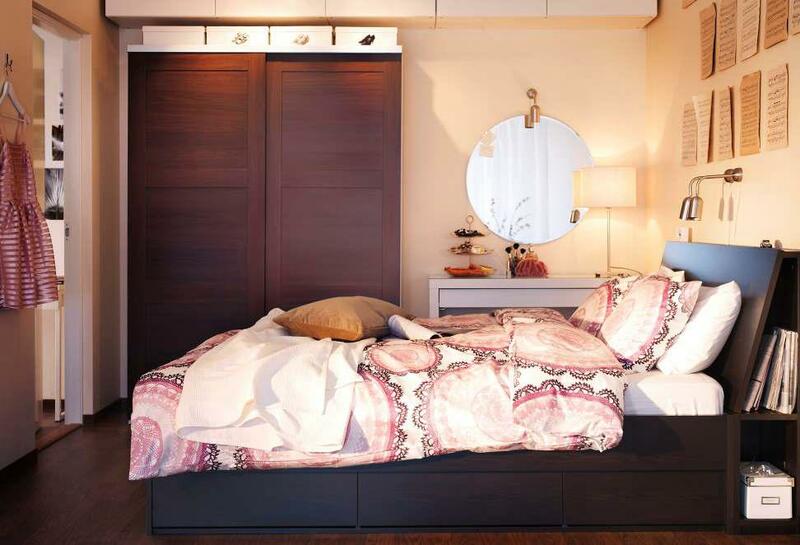 The platform bed and its matching nightstands are floating above the floor in the most elegant way possible. 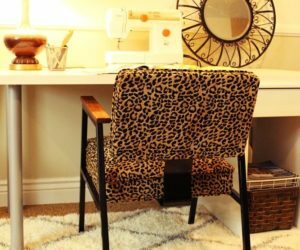 How to Turn a Small Bedroom into a Dressing Room? 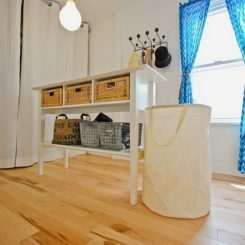 Noticed those storage cubbies yet or were you too busy admiring the serene décor? 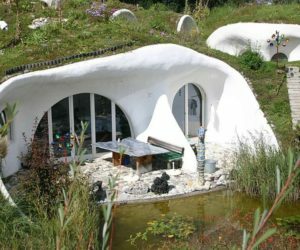 A perfect example for how comfort and function and coexist harmoniously. 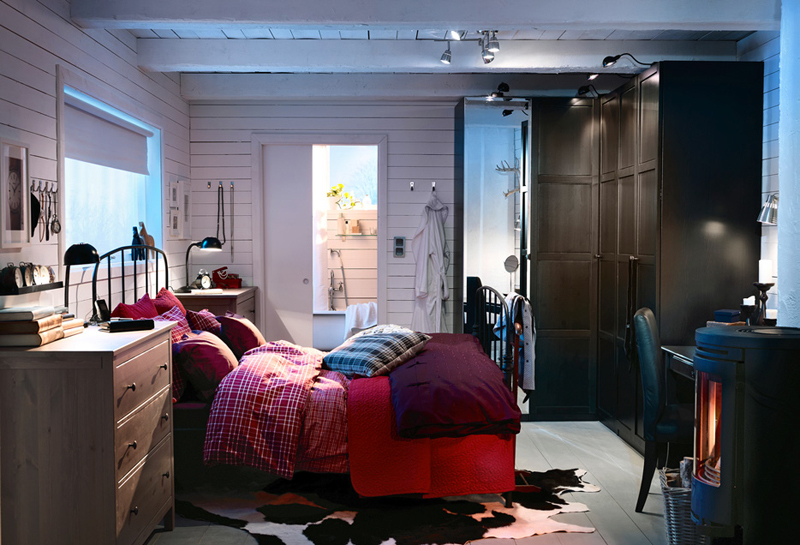 Take advantage of Ikea’s vast collection of open storage solutions and to maximize the storage and functionality of your bedroom. 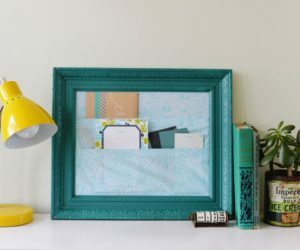 Squeeze in a desk and hide it behind a curtain at night to get rid of the stress. 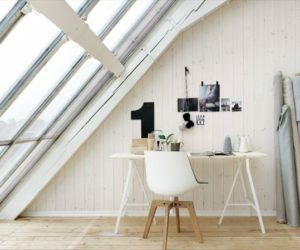 When there’s not a lot of space to work with in a bedroom, simplicity becomes a must. 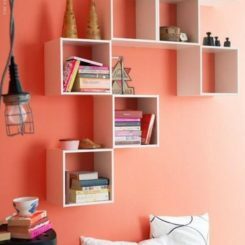 You can still have plenty of storage and comfort but if you adopt a vertical design like this one. 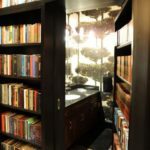 With a bedroom like this one you’d have more storage than you’d need. 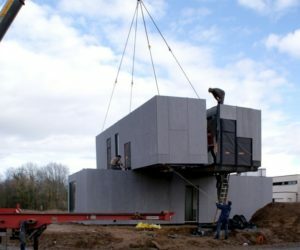 The wall units are higher than the doors and there’s addition storage above them and in the niches. There’s even storage inside the headboard. Jealous yet? My favorite thing here is that closet. The pull-out drawers perfectly aligned and perfect for small things like accessories, belts, watches and all those sorts of things and all the clothes sit neatly organized just above them. 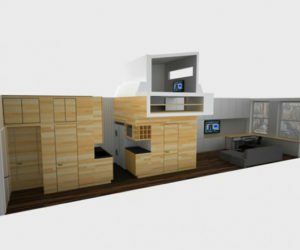 For the more libertine types that don’t mind having things in the open, this bedroom configuration could be just right. 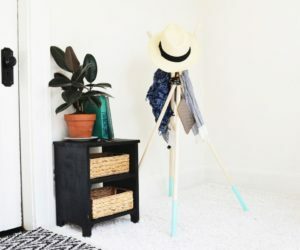 A series of rods for hanging clothes, a bed with the perfect surface on which to keep all your favorite books and a very casual feel overall. 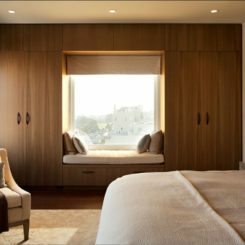 Breezy yet well-grounded and with a little bit of masculinity, this bedroom borrows some elegance from traditional living rooms but personalizes it. 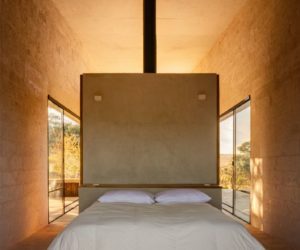 Ever considered a window nook for your bedroom? 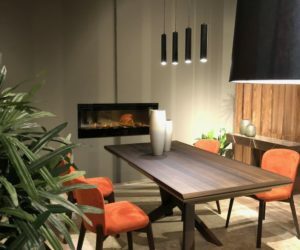 It can be an addition to your regular design or it can be the focal point of the room. The seat can also double as a bed. 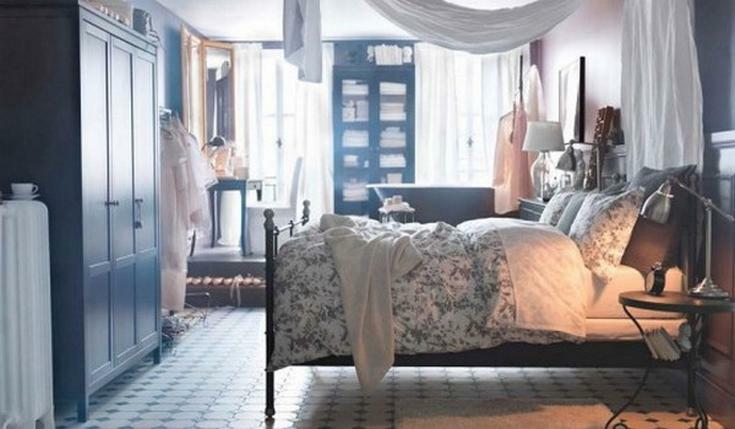 If you want a little bit of vintage charm into your bedroom, take a look at these dressers/ closets. The glass front doors let you see everything inside so there’s nowhere to hide the mess. You can also get that look in other ways, like with a bed that has a metal frame and a big, robust storage unit complemented by some additional shelves. The nightstands in this case are interesting too. 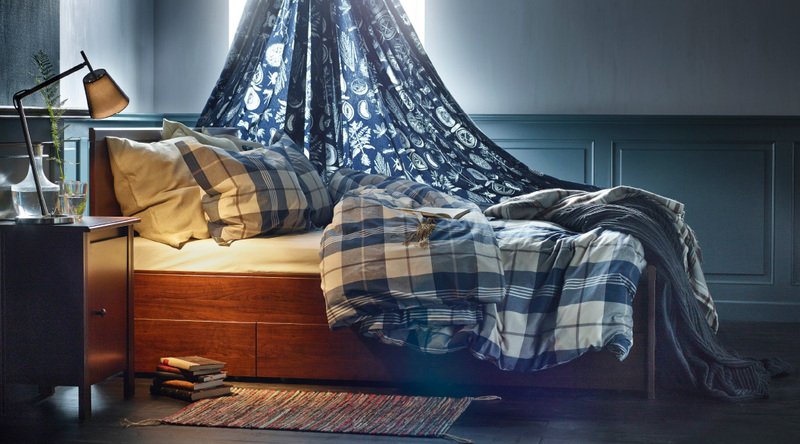 There’s something about this bed that makes the room feel bohemian and particularly sophisticated. It’s partially due to that thin and delicate design on the headboard combined with the color. 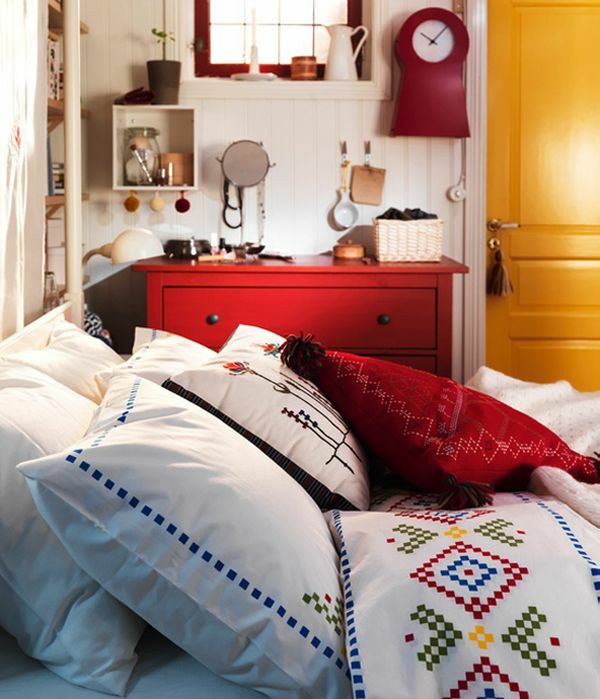 In order for a bedroom to be harmonious there has to be coordination. 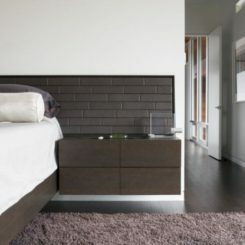 The bed here has a classical design with just a hint of modern style and the dresser shares the same characteristics. 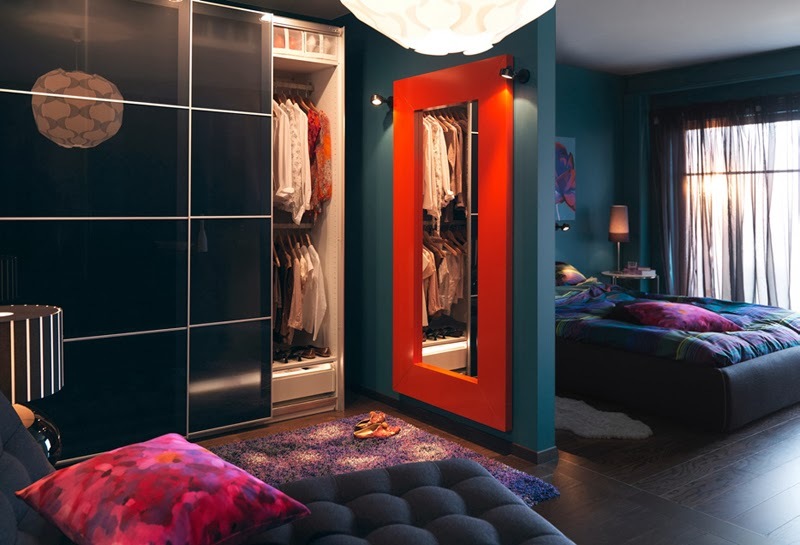 Remember those closets with transparent glass doors? This one is the modern version of those. The sliding doors are see-through but a little bit opaque and the whole design is simpler. 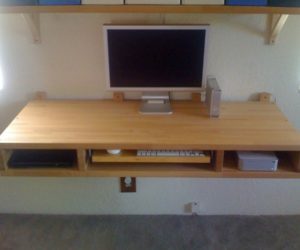 Make the most of your corners with the right furniture. This bedroom is not only very clever that way but it feels really cozy thanks to the fireplace, positioned right next to the desk. A well-compartmentalized bedroom is always relaxing and inviting. 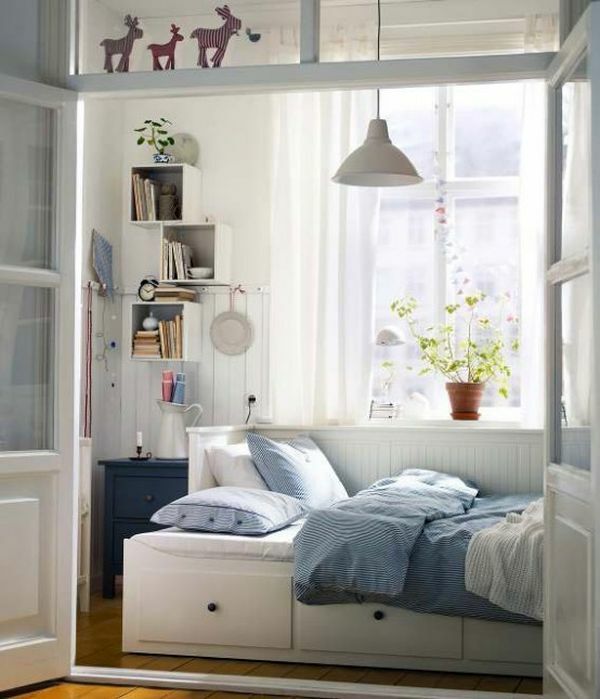 Love the way all the storage is grouped on one side of the room, leaving the bed form its own relaxing corner. And speaking of well-compartmentalized bedrooms, look how many different things and functions form this one. There’s a little bit of everything. 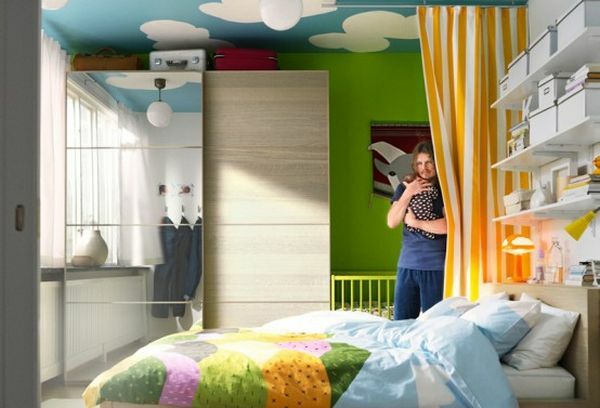 This particular bed design is ideal for kids’ or teenagers’ rooms. 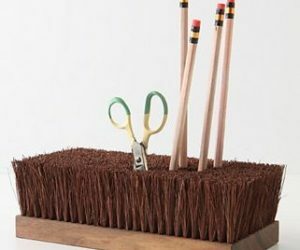 It’s simple, friendly enough, practical and user friendly and it has those storage drawers underneath for things like toys, clothes, blankets, etc. Want some glitz and glamour in the bedroom, try mirrored surfaces. 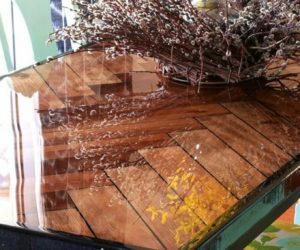 The idea of incorporating mirrors into the bedroom furniture is really practical. 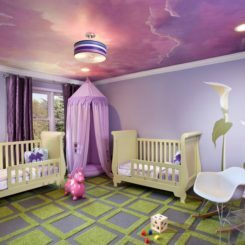 Kids can enjoy a bedroom that looks classy, cute and fun at the same time if you include the right details. The main pieces of furniture like the bed and the dresser give the tone for the rest of the room. A little bit of color can’t hurt. 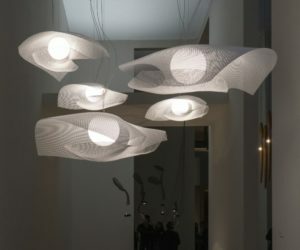 In fact, it would make the bedroom feel energized and dynamic. Try a bold-colored dresser and some matching pillows on the bed. Sure, you can go the other way too and use darker and more sober colors like brown and gray. 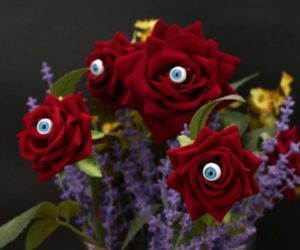 They’re excellent for boy’s bedrooms or if you want to get that masculine vibe. 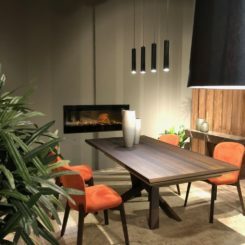 Keep things simple with furniture and accessories that don’t overwhelm the space, even if they’re really big and imposing in size.